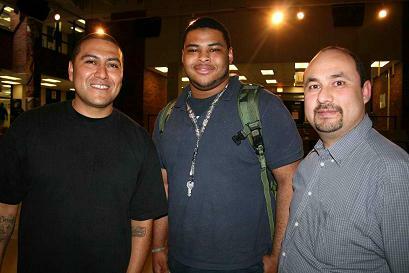 November 2008, The S.O.G. Crew expanded their network to include: Let Your Fire Fall Ministries, a non-profit annual concert and outreach to clothe and feed the needy; Whirlwind Music Entertainment, a music talent and network scout; Elite TV, a show airing on Dish Network revealing the positive principals of the elite in society that leads to success; S.O.G. Media Promotions, a networking promotions department utilizing internet, television, magazine, radio and streets to promote; and S.O.G. Graphics, an inhouse graphics team equipped with the most talented graphics artists. With this solid example of structure, there is no doubt their efforts will be greatly increased and witnessed around the US and into the neighboring countries. Hold on World! The S.O.G. Crew is coming quick! A long established hip hop group hits the music market with a remarkably new sound this week. “Where Legends Are Born” is the third album from S.O.G. Crew in their decade long career. The international urban group from Anaheim, CA. has been lead by rapper Dr. Robert ‘Battle Ax’ Ornelas since 1999, the group dons a Latin female deejay, a remarkably talented 18 year old rapper and a soulful singer. 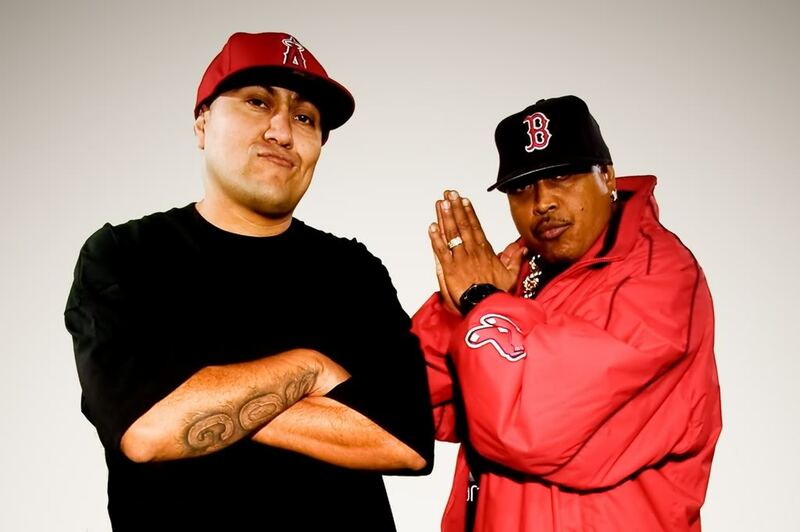 They carry two previously released albums; thei 2005 debut “We Rise to Get Down” and the 2007 “Up That Game” follow up. Each year they average over 200 events across the U.S., Mexico, Hawaii and Alaska. As well as have been a featured artist on the reggae international group, Christafari’s Spanish album ‘Reggae de Rendencion’. Their music is not the only highly desirable and sought after trait, but also, their exceptionally influential speaking and mentoring abilities to children and families, Hollywood entertainers, musicians, and actors. The S.O.G. Crew has also built a network comprising of a Global Fan Base of 175,000+, LYFFM (annual concert), SOG Media Promotions & Productions, ‘Elite TV’, ‘Up That Game’ with S.O.G. television show, S.O.G. 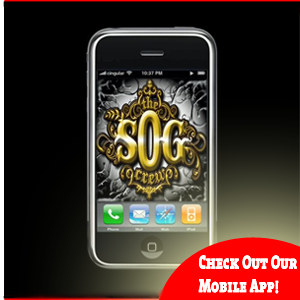 Crew Mobile App and Whirlwind Music Entertainment; avenues in which they can reach the world with their talents. They are also featured on television networks, movies and albums. And are currently working with the United Peace Federation on a ‘Cause Music’ Campaign that will encourage peace on the subject of religion between warring nations. “Where Legends Are Born” – which releases digitally on May 3rd, 2011 through Whirlwind Music Entertainment, Executive Music Group and Universal Christian Music Group – features combined production by Battle Ax, Leonti, and T-Nut of the Pricks (Eastsiders, Snoop), the trio created a fresh Urban/Latin/Hip Hop sound. It has 12 exceptionally mixed and mastered tracks by Paramount Recording Studio engineers, Geoff Gibbs, Bill Dooley and Mike Lazer known for their work with Snoop, 36Mafia, Ludacris, Madonna, AC/DC, Gnarls Barkley and others. GMA Week runs for five days every April ending with the Gospel Music Association’s Awards (GMA’s). Formerly hosted in Nashville, Tennessee, the GMA’s moved locations, and for the first time the 42 Annual GMA Dove Week Awards were held in Atlanta Georgia. Many entertainment industry companies organize great show cases of the year’s best in Christian music. Jason Hollis of Life Line World Wide and Infinity Distribution hosted their annual Hype Radio Fest 2 on April 18th. This show case caters to the hip-hop genre mostly. Streaming live on Dasouth.com, rocking the house in downtown Atlanta was The S.O.G Crew, Canton Jones, Gospel Gangstaz, Pro, and Giedion’s Army to name a few. The S.O.G crew committed to praying for the city of Atlanta all day the next day. While driving in the downtown area, they caught up with several performers from the Hype Radio Fest 2 event who decided to pack down their trunks with food and cold drinks to feed and pray for the homeless. It seems the homeless rate in Atlanta is larger than that of Los Angeles. And selfless acts such as these are exactly what S.O.G “cause music” is all about; people helping people and making changes. It was quite the sight to see a group of hip-hop performers from all over the nation coming together to help another community. 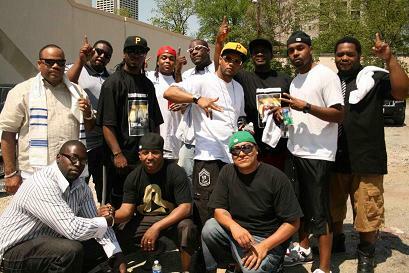 The S.O.G Crew has future plans to hit Atlanta again and help local ministries bring an end to homelessness. For information on how you can help in future plans email us at: sogmediapromote@aol.com. Thanks! The S.O.G Crew visit’s Hope High School in Chicago for a private concert April 15th, the last day of school before the students left for spring break. Motivating the kid’s with a fresh sounding West Coast Hip-Hop; S.O.G had these kids on stage dancing and having a blast! Hope H.S. is statistically known to have one of the highest rates of gang violence and absenteeism in the nation. In one week, 6 students were killed by gang violence. The S.O.G Crew were brought in as intervention to encourage these students to focus on school and get involved in their communities in positive ways. Historically, the only other hip-hop performers that were ever invited to perform and speak at Hope H.S were Erykah–Badu, Common and Kanye West. 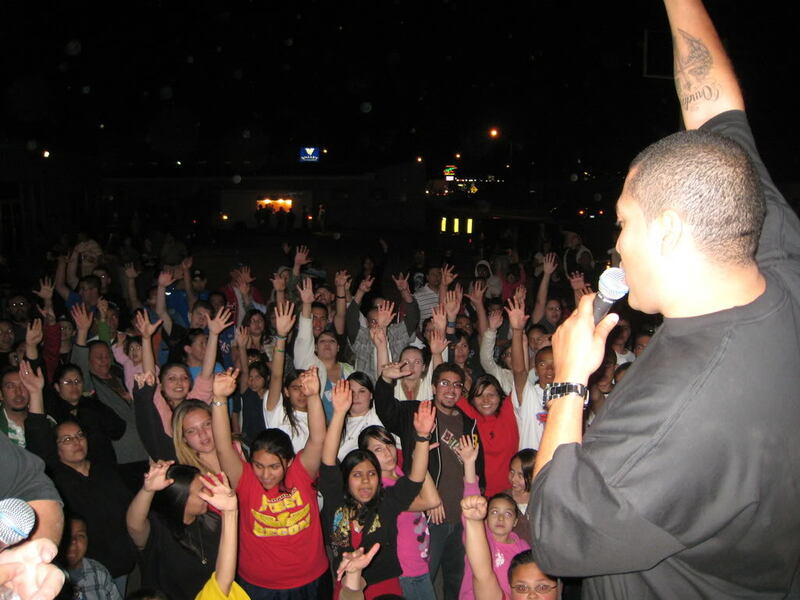 All the students and staff were personally invited to the “Revolution” hosted by New Life Pilsen and Pastor Robert, for a full-on concert with the S.O.G Crew that same night for their Where Legends are Born CD release Tour. Students from Hope H.S arrived surprised to find out that; “Revolution”, was a Christian youth ministry that had concerts; and that there were other students there rocking out with S.O.G and praising God! Many young people were saved and excited to receive prayer. And they left with a new outlook on life; serving God is fun! 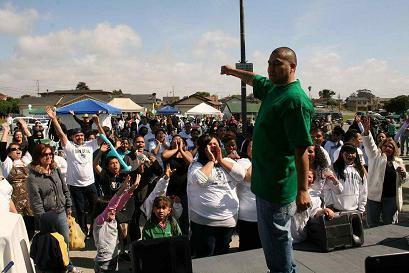 April 14, 2011 – On Saturday, April 9th, a public service employee, Debbie Martin, hosted Castroville’s first ‘Peace in the Streets Unity Rally’ in order to address the problems of violence and drugs in the area. For years the area has been known to be one of the Nation’s most dangerous places to live due to the high rates of violent crimes, drugs and gang activity. Together with the Monterey Sheriff’s Department, Catholic and Christian Churches, Car & Chopper Clubs, Dramas, Health organizations, City Officials and Monterey county families; they were able to draw out gang members and minister a message a peace to them. The event was successful as Dr. Robert ‘Battle Ax’ Ornelas of The S.O.G. Crew was able to share how he overcame situations of his past life and then pray for the young gang members who were moved to receive prayer. Many were drawn out by the sound of hip hop and captivated by the strong messages interpreted by the drama teams. The chemistry of all that came together for the cause of bringing peace to the streets was exciting! Local Sheriff’s walked about and mingled with the people to encourage healthy relations with them. Free groceries were given to families and visitors to take home. The event is the first of an annual and ongoing effort to bring peace between gangs and between gangs and law enforcement. THE S.O.G. CREW/ONLY GOD CAN CREATE SUCH A MIRACLE AS THIS! Last night, March 3rd, 2010, newest member and close friend of The S.O.G. Crew, Lezette Garza hosted a mini revival/bible study at her place in Thousand Palms. Through an evening of studying, prayer and worship, Pastor Robert received a word from God for the people; restoration of the father’s heart to the sons and the son’s to the fathers. It brought a miracle so great it could only have been God! All who showed up were in complete agreement for God to do as he pleased. Children from the ages of 9 all the way up to 55 year old believers agreed that it was time for people to reconcile themselves with their families before the eventual day of our Lord’s coming. Everyone shared their struggles with family members and agreed that last night was the night that God would restore everyone’s hearts towards each other. All in agreement and in high hopes brought change to one particular person’s heart, Lezette’s uncle. He has been at war with his siblings for years now and it has torn their family apart so much that Christmas wasn’t the same anymore because no one wanted to see each other because of the hurt caused by words. Now he is in the hospital with pneumonia, liver and kidney problems and Lezette and her family had been praying for him because the doctors are not certain how much longer he has. Here is where the miracle takes place. Lezette and her family received the Word of God in their hearts and made a decision to see that the Word come true for them. Before the evening was done, Lezette’s mom ran out the door and straight to her brother and siblings in the hospital, whom had not seen each other for years. As she rushed by the waiting room, her siblings cried at the sight of her saying, “oh, we’re so glad you actually came! He’s been asking for you! He’s been praying you’d come!” She rushed past them and straight to her brother’s room; she seen him lying there with his eyes closed. She quietly came in and approached his bedside. She laid her hand on his hand; he opened his eyes and began to cry. He began to sob and repent to his sister for all the years of words that he said that he didn’t really mean. He asked for forgiveness for making the families hurt and pull away from each other. He wants her and his siblings in his life and couldn’t go another day without them. … God softened his hard heart and brought this family back together!!! Why would any person who believes the Day of the Lord is coming soon waste another minute in anger, bitterness or unforgiveness towards their family member or friend? It’s not worth it and there’s no time to waste. God is opening up hearts in the Coachella Valley and restoring families heart’s towards one another. For over two years we have been working in the Coachella Valley, laboring and sowing to see God restore healing to the area; and now it has come! We want to help the area by bringing teachings of evangelism and studies in the Word. Please come join us next Wednesday at the same location to receive a miracle and change in your heart, and in your family, and in your neighborhood! We’ll be at: 30706 Robert Road, Thousand Palms, CA 92275 at 7:00 pm.every Wednesday. Come pray with us, learn with us and worship! We’ll see you there! THE S.O.G. CREW CAUGHT ON TV AT THE C28 STORE IN THE PALM DESERT MALL! Desert Christian News TV (DCN TV) caught The S.O.G. 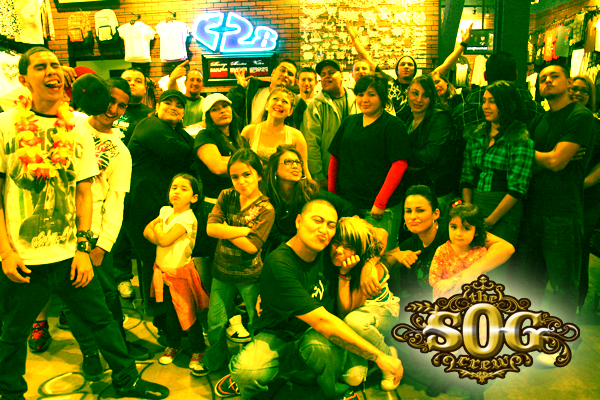 Crew performing live at the C28 store in the Palm Desert Mall again on Friday, January 29th. Last year, S.O.G. was at the store making the floor and neighboring stores rumble with banging bass and hot beats! This year, TV viewers got the chance to see what exciting things were happening at the mall up close and personal! Much love goes out to D.O.G. Squad for providing sound. Watch the video made from last year’s visit to C28 and keep an eye out for this year’s hot new clip! T.V. is going crazy over something new brewing out of the music industry; a Christian based group that is transcending lines in music, The S.O.G. Crew. From The George ‘Lopez Tonight‘ Show to TBN to Good Morning America and others; they are all asking for a fresh infusion of life changing music. JC TV staff has so repeatedly asked The S.O.G. Crew to be a part of their shows that they are now friends and avid supporters. Shows will be taped Friday, February 19th. Keep your eyes on JC TV and their new and exciting shows featuring The S.O.G. Crew as their guest performers. Please keep in prayer every door of opportunity to share the love of God with viewers. Many blessings! We will be working with the City of Santa Monica and Santa Monica College to promote this year’s Unity Resource Festival on March 7th held at Virginia Park. It’s an honor to be working together with the City and SMC’s staff on this project. The S.O.G. Crew is thankful for the opportunity to be a musical guest at the festival. Take a look into the degree of promotions and how serious they are taking this event. And the outcome of visitors and experience is expected to be huge! Be sure to keep an eye out for this event and mark your calendars! Here is just a few of the avenues you will be able to see the promos for this event: T.V.- KCAL, KNBC, KCOP, KABC, KCBS, KTLA, CNN, KMEX, KTTV, Time Warner Cable, Newspapers – Los Angeles Times, Daily Breeze, The Observer, Malibu Times, Santa Monica Star, Santa Monica Daily Press; Magazines – City Beat, La Opinion, LAist, LA Weekly, Los Angeles Magazine, and other outlets such as: The Big Blue Bus, newswires, websites and more! Please keep the event in your prayers. We are believing for a good and great outcome. Many Blessings!